Negotiations with commercial facilitators such as Visa are also underway, said Than Lwin. Although Burma remains subjected to Western sanctions, many analysts believe that the obvious investment opportunities have governments chomping at the bit to liberalize these restrictive measures. “If Suu Kyi and the democratic opposition basically give their blessing that the April 1 elections are 'good enough,' there will be some sort of positive, reciprocal action on the part of the US government,” Jennifer Quigley, of the US Campaign for Burma, told 7 Days Middle East. But with the European Union putting its sanctions against Burma up for review on April 23, American investors are worried that their Asian and European counterparts could have the leap on them. This is especially important when considering Washington's desire to stave off competition from Beijing in Southeast Asia. Singapore-based Tradelink Engineering and Trading (TET) is hoping to construct two to three new factories over the next couple of years. “After the foreign investment law, there may be so many companies—maybe 10 or 20 companies—[competing] in the Myanmar market,” TET Managing Director San Yu Hlaing told Channel News Asia on Wednesday. The new investment legislation being proposed could potentially have saved TET 15 percent—US $1.5 million—on the import duty it paid last year, he added. 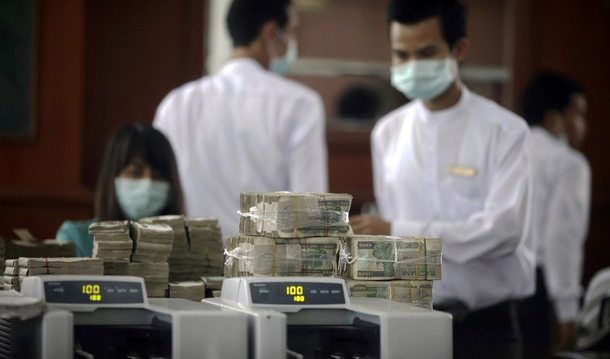 However, there is still that wary element of caution even among Burmese finance insiders—more than a dozen banks were nationalized in 1963 when junta generals seized control of most major industries. “It will be in the interests of foreigners to wait for the final touches on these [investment] laws [before investing in Burma],” said Than Lwin.